Stung by the decline in tourist numbers during the ongoing season, Goa Tourism Minister Manohar Ajgaonkar on Thursday said his ministry was mulling regulating food prices in restaurant and beach shacks, as well as initiate a crackdown on online booking sites for artificially escalating hotel and lodging room rates. "We will be cracking down on those who escalate food prices during the season. If people have to eat expensive food, then why they should travel here. The prices of dishes cannot go above Rs 500. There has to be a limit. We will fine them if it goes above limits," Ajgaonkar said, while speaking to reporters at the State Secretariat. The Tourism Minister also admitted that tourism arrivals to the state had dropped considerably and also attributed inflated hotel room rates on online portals as one of the reasons for the drop. "We are going to call them (representatives of online room booking services). We do not want them here if they do this," Ajgaonkar said, adding the issue of online portals artificially hiking hotel room rates was discussed at a meeting with tourism ministry officials on Wednesday. 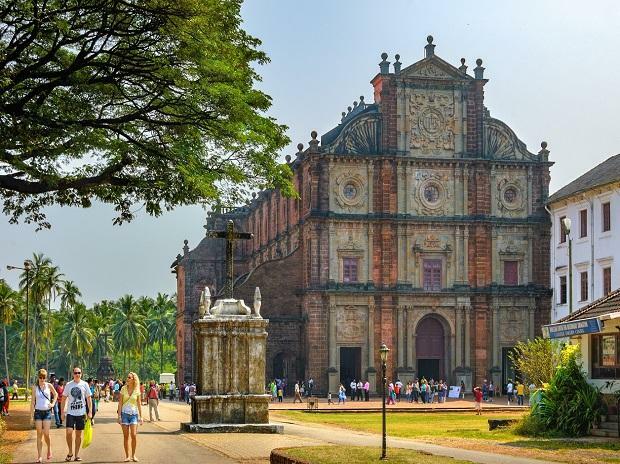 Travel and tourism industry stakeholders have claimed that tourist numbers to Goa, which last season had attracted more than seven million tourists, had dropped considerably this season. While the Tourism Ministry has claimed that it has not tabulated the tourist arrival figures for the year 2018 yet, president of the Travel and Tourism Association of Goa Savio Messias has said that the dip was as much as 30 per cent, adding that most hotels in the state were underbooked during the festive season, when bookings peak.